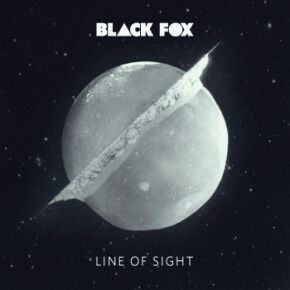 theaussieword.com catches up with Melbourne band Black Fox! Join me as I ask those pressing questions for this very special in-depth interview! Love love LOVE plugging home grown talent! I’ve always loved music, however I would have to say that it was Nirvana that first got me seriously interested in it. At the time, I was a rather disenfranchised, unhappy youth, and their music spoke to me so much more than the pop music dominating the airwaves before their arrival. The first time I started a ‘band’ was in year 7. A friend from school and myself decided to cover a Nirvana song at the school talent concert. We were booed off the stage before the vocals even started and disbanded soon after due to creative differences. Very rock n’ roll. To be honest, it’s usually artists that have stood the test of time. I’m constantly listening to bands like The Smiths, The Doors, B.R.M.C., The Cure and The Zombies. I think all of those bands have real lyrics backed up by great song writing. Aside from that, my own experiences and those of my friends are a constant source of influence. Currently, we’re focusing all our efforts on our upcoming LP Launch in Melbourne (Saturday November 24 at The Espy Basement), however we’ll be announcing some national dates in the New Year. Touring is absolutely the most fun you can have in a band, so we’re always looking for opportunities to get out on the open road. Putting out a record on vinyl was one of my biggest goals for a very long time, and we’ve managed to accomplish that this time around. Aside from that, I’d love to do some international touring, purely for the wild times that would ensue. More than anything though, I just want to write and record music that I’m truly satisfied with. You can never tell what other people will think of your songs, so there’s no point making records for someone else. At the end of the day, as long as you’re personally content with your songs, then you can smile. A great big party at our album launch, a new album available on CD, 12-inch vinyl and digital download, and with any luck some embarrassing photos of our bass player making out with a groupie in the car park. If you ever find anyone who knows the secret to success, send me a link to the interview. I’ve got no idea. I’ve never achieved any level of large commercial success and I probably never will, but it’s a lot of fun being in bands and making music. As far as career highlights go, opening the main stage of the Pyramid Rock Festival a few years ago was a riot. We were plagued by technical difficulties, but we had a whale of a time. Johnny Marr, Robert Smith, Noel Gallagher, and anyone else who hasn’t compromised what they do for the sake of a dollar. It was so depressing to see the road that INXS went down when Michael Hutchence passed away. 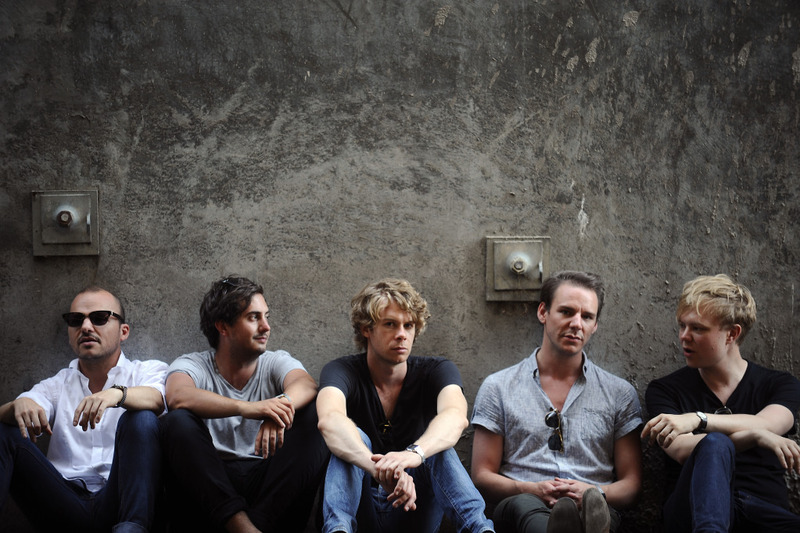 There are also heaps of small Australians bands that constantly inspire me. There’s a band from Sydney called Bright Yellow who are brilliant. Their singer battled schizophrenia and was in and out of hospitals for 2 years. However, he’s now back on the scene and writing better songs than ever before. Stomping beats, driving bass, melodic guitars and hazy vocals. Those elements, although they sound like marketing hype, are actually present on virtually all of our songs. There’s usually also a hint of synthesizer that just adds a little more texture. It’s a truly independent album. I know that bands like Van She, etc. call themselves indie (independent) bands these days, but this album’s the real deal. We recorded and produced it ourselves in bedrooms, rehearsal spaces and living rooms around the globe over the course of about a year. From the very get go, we approached the album as a complete piece of work rather than a collection of different songs thrown together. We always intended to press it to vinyl, so that meant that we had a maximum of about 20 minutes per side to work with. This allowed us to approach the construction of the album very differently. We spent an enormous amount of time making sure that the songs on each side flowed into one another like a film score. Once the tracking was complete, I mixed the tracks with a guy called Gavin Nebauer on a hi-fi system in his living room. I’ve mixed albums with Gavin before, and he’s vey much a member of our team now. We’d previously always mixed in his studio, but we found we got better results in the living room of his house. The mastering and pressing were really the only two processes that we outsourced to other people. Leigh did all of the record artwork and the members of the band have even inserted the digital download cards into each and every vinyl sleeve themselves. You can’t get much more independent that that. Daniel and myself have already started penning a few song ideas for a second album. I’m not sure exactly what we’re going to do by way of a follow up record, but we’ll have plenty of time to focus on that once this one is on the shelves. Making more music with friends and playing lots of shows. We’ll continue to make records and put them out. I can never speculate as to how they’ll be received or who they’ll reach, but rest assured we’ll be putting them out. Bright Yellow, The Church, The Vasco Era, Deep Sea Arcade, The Hoodoo Gurus, God, Dinosaurs Exist. I’m a little bit of a cynic when it comes to the music industry. It seems that the business model for most labels these days revolves around signing Idol contestants that already have a TV market. As soon as the next reality star comes up, they’re dumped just as quickly and their albums are relegated to the shelves of Cash Converters. However, modern digital recording and delivery, and things like PayPal and BandCamp mean you don’t need a label to make great records and get them out there. There’s honestly been no better time to make music. You can record you own music the way you want, do your own artwork, film your own clips and then put it out there for people to enjoy. It’s always nice to hear that other people are enjoying your songs, and it can provide you with great opportunities to play bigger shows; but as long as your main goal is making the music you want, you’ll never be disappointed. 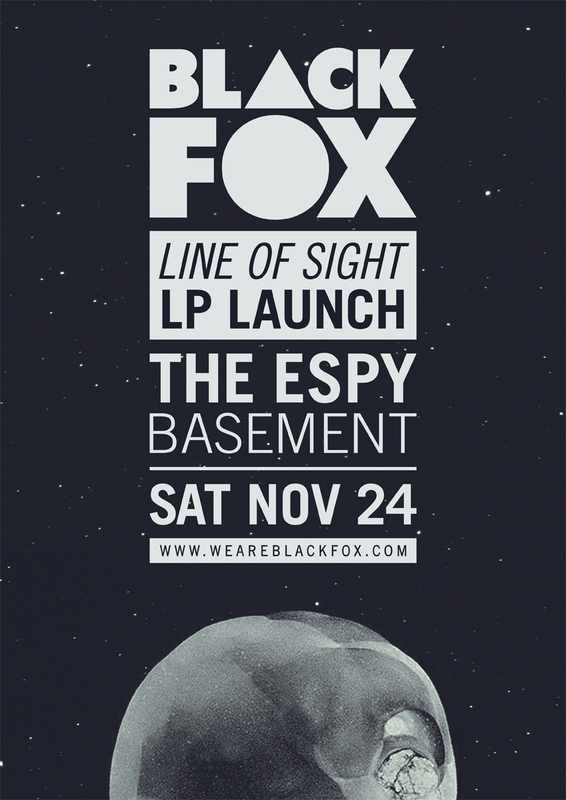 Come on down to our LP launch at The Espy on Saturday November 24 and we’ll hook you up with a free Black Fox anchor tattoo.